…$0.99 per plate. Seriously. And that’s including whole wheat pasta and steamed veggies. Yes indeed! You’ll find my Pasta Alfredo recipe here. Feel free to add leftover cooked chicken to this if you have some! *I calculated my cost based on the food sources and prices I have available to me. Most of the ingredients I use are organic. Your cost may be slightly more or less depending on where you find your ingredients. I love your Alfredo Sauce. I have been making it for over a year. About 4 months ago, I went to Olive Garden and order their Fet. Alfredo and it didn’t even taste that great. I also use this sauce to make Chicken Alfredo Pizza with red onions, mushrooms and tomatoes as toppings. YUMMY. I too love Alfredo sauce. 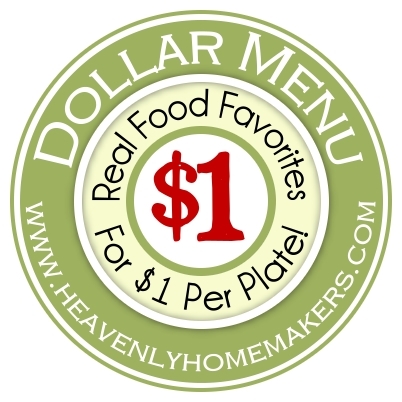 I recently made your recipe to use in our favorite spinach artichoke dip recipe. YUM! It made about a cup or so more than I needed, so I added it to my grandmother’s cheesy potato recipe a few days later. YUM! Oh wow, thank you so much for the heads up! Fettuccine Alfredo is more like 12 dollars a plate in my area. 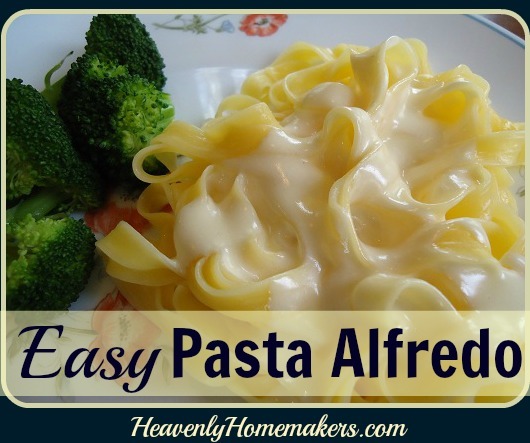 We have a family owned Greek restaurant that we love and his alfredo is delicious but I have trouble paying the price for it when I know how inexpensive it is to make at home. I wish I could find some organic parmesan cheese that was reasonably priced. I really miss it but I won’t touch anything made with hormone laced chemical milk. Has anyone ever tried making their own pre-soaked noodles? Mary, if you have a Trader Joe’s nearby, you should check for parmesan there. I get a nice one there. I don’t believe it’s organic, but it is a raw milk cheese that is rBGH free. No hormones, and I guess I like to think that anyone making a raw milk cheese, hopefully has the cows on pasture. At any rate, it is higher quality than regular parmesan. I’ve also seen some decent ones in regular grocery stores, in the deli area before. You just have to read the labels carefully. That looks so delicious! I absolutely love Alfredo. I’m definitely adding this to my list of recipes. Yummy! How do restaurants make it unhealthy? Other than the white pasta of course. Wouldn’t they use butter and cream as well?